Plants in the genus Acca are part of the Myrtle (Myrtaceae) family (which also includes Eucalyptus and other well known plants). Acca plants are native to South America. 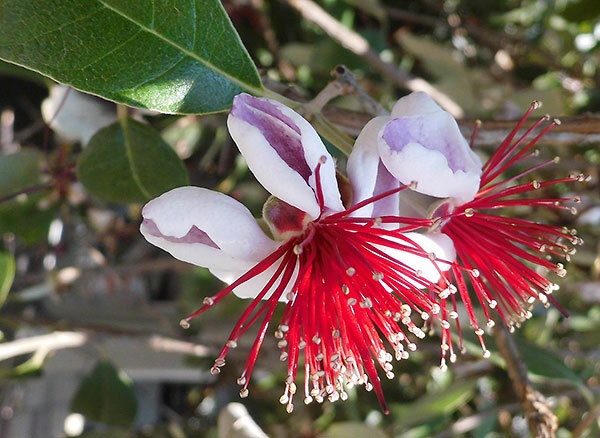 The most well known plant in this family is commonly called the Feijoa – Acca sellowiana. The fruits of this plant are also known as pineapple guava or guavasteen and are the reason why people cultivate this species. It’s not actually a true guava, but the common name has stuck because of the appearance of the fruit. This plant grows edible fruits known as feijoas or pineapple guavas. Common names: feijoa, pineapple guava and, guavasteen. It can grow as a small tree or shrub and even a hedge, measuring between 1-7 metres in height. The egg sized green fruit with juicy flesh is described as tasting like a blend of apple, pineapple, strawberry, passionfruit and even mint. The petals of the flower are said to have a sweet cinnamon type taste to them. Parrots can enjoy the whole flower safely. 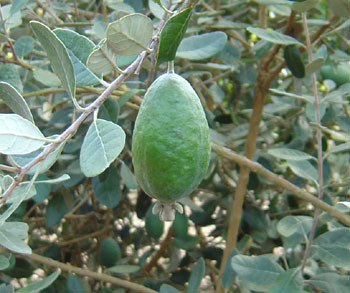 Only the Feijoa/pineapple guava (Acca sellowiana) is widely available to buy. It can be bought as either seeds or as a pot plant. The seeds are relatively easy to germinate succesfully, provided you keep the seed raising soil moist (but not soaked) and provide a humid and warm environment for the seeds to sprout and grow. 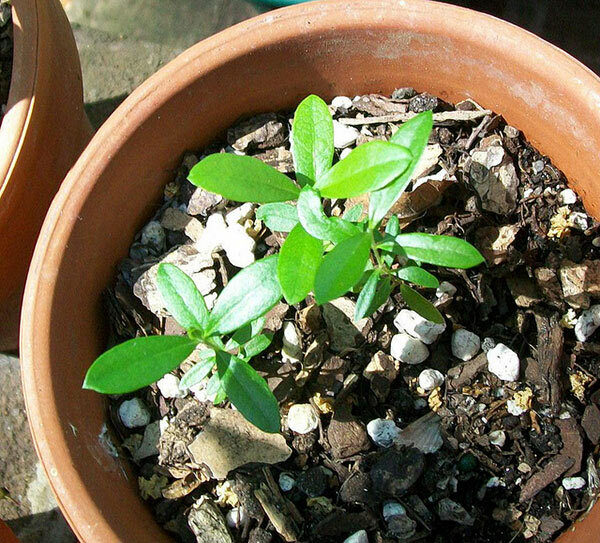 If growing Feijoa plants from seed, you can keep the plants in a pot for their life and they will still fruit as long as the plant is kept in good condition in well drained soil in a sunny spot. It’s not only the fruit of the pineapple guava plant that’s edible – the attractive flowers are too. Parrots will love the fresh, organic fruits from this small and easy to grow tree.